Here's the OMG moment you've been waiting for! 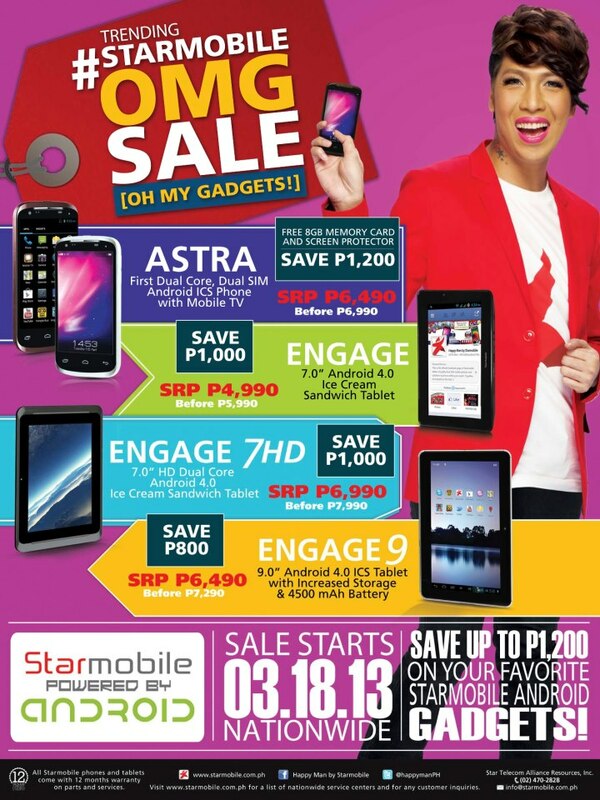 Starmobile just posted on their Facebook page a Starmobile OMG [Oh My Gadgets!] Sale where you can get the best deals (FREE 8GB memory cards and screen protector) & discounts (Save up to P1,200) on your favorite Starmobile Powered by Android gadgets! Sale starts nationwide today, March 18! More details after the jump. I just bought engage 7hd 2 days ago. Naka discount ako ng 1K. It is written above, it has bluetooth but I don't see it on my tablet. Is it a mistake or I just can't find it anywhere? Tried to open settings, wala dun. Not even in my drawer.